- The new Symptohm Melohman is a powerfull virtual synth, featuring exclusive Synth Grain Oscillators, using any sample. - There's a new interface for Symptohm. After the Classic Skin comes the Funky Skin ! - A new Symptohm version called the Performer Edition: This affordable version of their intensively playable sonic synth allow you to play any Symptohm:Melohman sound, even with your own samples, to merge them and to mutate them with all the Melohman features for 49 euros or nothing if you already own Symptohm:Melohman. - 256 new presets have been released for Quad Frohmage and are available for free to registered users. 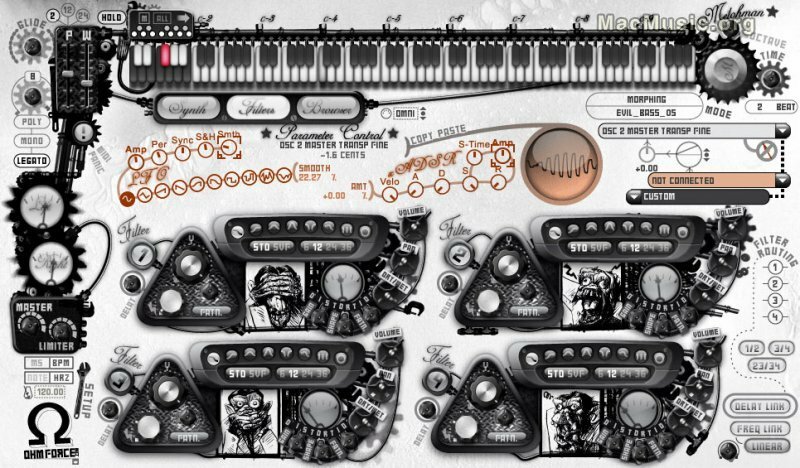 And of course VST, AU and RTAS demo versions of Symptohm:Melohman and Symptohm:Melohman Performer Edition are available.